The Design Bugs Out programme was launched in 2008 with the Department of Health and the NHS Purchasing and Supply Agency (now NHS Supply Chain). It brought designers and manufacturers together with clinical specialists, patients and frontline staff to help combat infections by making hospital furniture and equipment easier and quicker to clean. A wide-ranging review of the clinical environment, by a team including designers, ergonomists, researchers, patients, nurses, domestics and other staff, identified 51 design opportunities. These were shortlisted to 10 opportunities: five ‘quick wins’ that were developed by the Helen Hamlyn Centre (Royal College of Art) and five that were advertised via a national design competition. 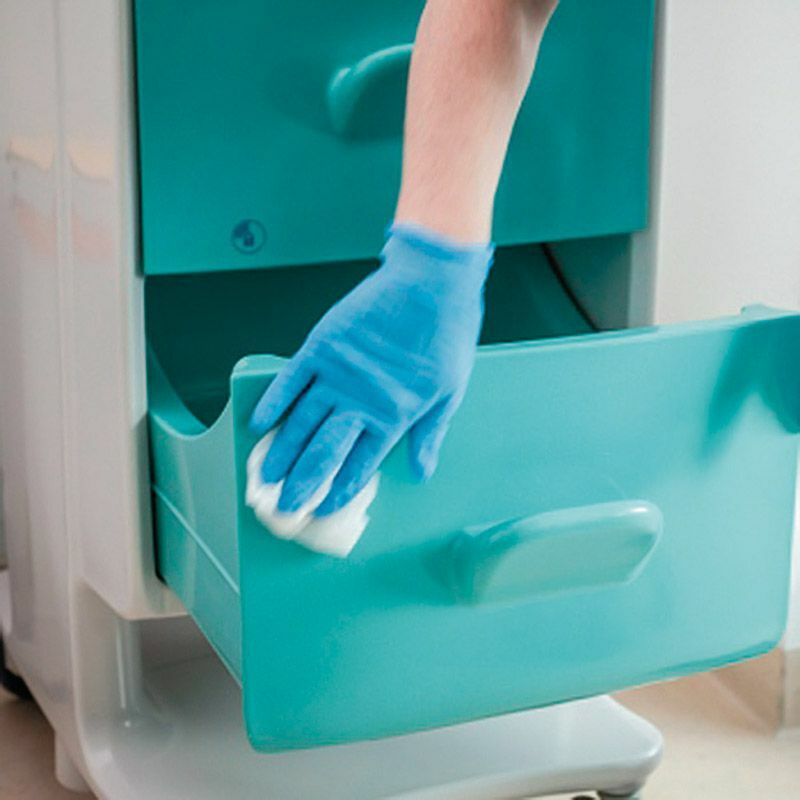 The project led to the development of four pieces of furniture and equipment specifically designed to eliminate dirt traps, make cleaning easier and reduce the incidence of Healthcare Associated Infections. Designers and manufacturers worked in conjunction with NHS users to create product prototypes for evaluation in eight showcase hospitals. Manufacturers Bristol Maid and designers Kinneir Dufort teamed up to create a radically new bedside cabinet with wipe-clean polymers instead of wood and metal, to make it easier to clean and help stop bacteria spreading. Clean lines and ample storage make the cabinet attractive not only to patients, but also to staff who now spend less time cleaning, releasing more time for patients.